State labor investigators would have more authority under a bill considered March 18 by the Business and Labor Committee. 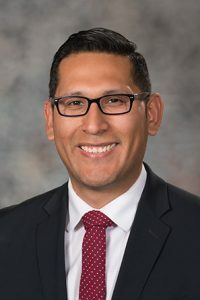 Under LB577, introduced by Omaha Sen. Tony Vargas, the commissioner of labor could force a contractor to halt work on a site and expedite an investigation if a violation is found to threaten public health and safety. Vargas said classifying someone as an independent contractor, rather than an employee, allows employers to avoid paying unemployment and other taxes, as well as workers’ compensation and unemployment insurance. “Workers who are misclassified as independent contractors work without the legal protections typically afforded to employees,” Vargas said. He said employers who are willing to “cut corners” when classifying employees also are likely to be engaging in other risky practices. One Omaha construction company recently failed to shut off electricity while two men were working close to an active power source, Vargas said. Their vehicle made contact with a power line, he said, sending both men to the hospital. Juan Alvarado of Omaha, who worked with the two men injured in the Omaha accident, spoke in support of the bill. Only two feet of space separated the metal cage containing the workers and the active power source, he said, a shortcut that saved the contractor only $800. Felicia Hilton, representing the North Central States Regional Council of Carpenters, also supported LB577. The young man injured in the Omaha accident was classified as an independent contractor without workers’ compensation coverage, Hilton said, which means Nebraska taxpayers likely will be paying for his injuries for the rest of his life. Opposing the bill was Commissioner of Labor John Albin. Misclassification of an employee, in and of itself, does not affect the safety of the general public, he said.